Come on down to try our famous hand battered fish fry, smoked for hours ribs and chicken, or one of our mouth watering hand cut steaks! We also have daily specials that we will post on our Facebook page! 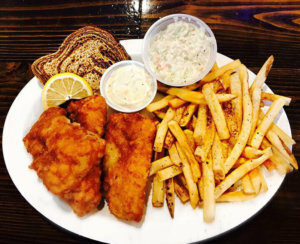 Come on down Friday night for our awesome hand battered or baked fish fry!! And warm up with some homemade soup or chili!! 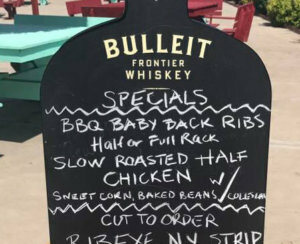 Slow smoked half chickens or fall off the bone baby back ribs. 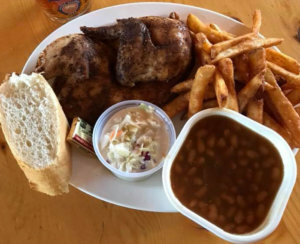 Comes with your choice of fries, House-made coleslaw, baked beans and a slice of French bread. 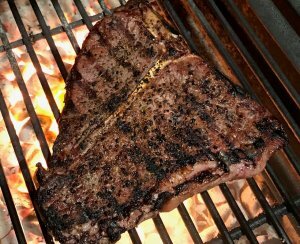 Steaks hand cut and seared to perfection. Come out and join us for a cocktail and some food! We have many specials going on right now!